Hamburger with Fries. WHO has released the REPLACE guidelines, to eliminate industrially-produced trans-fatty acids from food suplly. Industrially-produced trans-fats may give food a longer shelf life, but each year they also lead to the death of more than 500,000 people from cardiovascular and heart disease, according to the United Nations health agency. Now, the World Health Organization (WHO) has released guidance which is hopes will help make it possible to eliminate these harmful compounds altogether, by 2023. On Monday, the agency called on all governments to adopt the REPLACE guidelines, which is a step-by-step guide to “eliminate industrially-produced trans-fatty acids from the food supply," according to WHO Director-General, Tedros Adhanom Ghebreyesus. Review dietary sources of industrially-produced trans-fats and how they can be substituted. Legislate, or change regulations to eliminate industrially-produced trans-fats. Assess and monitor trans-fats content in the food supply and changes in how people consume trans-fats. Create heightened awareness of the negative health impact of trans-fats among policy makers, producers, suppliers, and the public. Industrially-produced trans fats are commonly-found in hardened vegetable fats, such as margarine and ghee, and often in snack, baked and fried foods. While manufacturers have sought to increase the shelf-life of foods by using them, healthier alternatives that would not affect taste or cost are available, says WHO. "Implementing the six strategic actions in the REPLACE package will help achieve the elimination of trans fat, and represent a major victory in the global fight against cardiovascular disease," said the WHO chief. Michael Bloomberg, WHO’s Global Ambassador for Noncommunicable Diseases and former New York City Mayor, recalled that a comprehensive approach to tobacco control over the past decade, had produced enormous health benefits, adding that a “similar approach to trans-fat can help us make that kind of progress against cardiovascular disease, another of the world’s leading causes of preventable death." Elimination of industrially-produced trans fats has been a priority target of WHO’s strategic plan, which will guide WHO’s work over the next five years. The global elimination of industrially-produced trans fats will also contribute to the 2030 Sustainable Development Goal of reducing premature death from noncommunicable diseases by a third, said the agency. "Why should our children have such an unsafe ingredient in their foods?" Mr. Tedros said in conclusion. 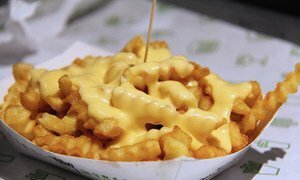 People everywhere need to cut down on their consumption of artery-clogging fatty foods, the World Health Organization (WHO) is urging, in a new report released on Friday.